You are currently browsing the archive for the Hannah Cloke category. Congratulations to Hannah Cloke, who has won another prestigious award for her high impact research and media engagement. Hannah has been awarded the Vice-Chancellor’s Public Communications Prize, which she will receive at the meeting of the University Court next month. The prize is in recognition of Hannah’s work during the flooding crisis, with high profile appearances in the national and international media which led to a secondment to Government to advise Downing Street on the ongoing crisis. To find out more about Hannah’s work, check out her staff profile and follow her on Twitter. Professor Hannah Cloke won the NERC Impact Award for Early Career Researcher at an awards ceremony in London last night. This is awarded to “an early-career researcher who has achieved exceptional economic and/or societal impact within the UK or internationally” and recognises Hannah’s work in understanding flood risk. The awards are the first in a series of activities and events that will mark NERC’s 50th anniversary. The programme of events will demonstrate how NERC science has contributed to the UK over the past 50 years. 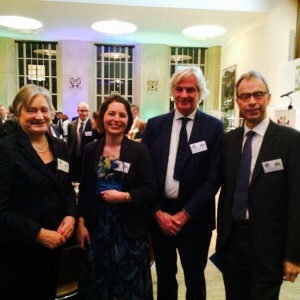 The award was presented by Helen Czerski, currently a Research Fellow at UCL, who is quoted as saying “Early career researchers are the most diverse group of scientists- we need that diversity of ideas”. Dr Liz Stephens and Dr Hannah Cloke were invited to attend a workshop 4-5 March. Liz presented her work on GloFAS and Hannah presented her Flooding From Intense Rainfall SINATRA project (). The 4th workshop of the Global Flood Working Group, hosted at the European Centre for Medium-Range Weather Forecasts (ECMWF) in the UK, gathered around 90 scientists, practitioners and users to kick off the Global Flood Partnership (GFP). GFP is a unique international forum aimed at developing global flood observational and modelling infrastructure, leveraging on existing initiatives, for better predicting and managing flood disaster impacts and flood risk. It has wide buy-in from international organisations, including the European Commission, World Meteorological Organisation, UNISDR, World Bank, World Food Program, International Federation of the Red Cross and Red Crescent, as it is complementary with existing efforts and has the specific goal of bridging the gap between science and operational/policy needs. In fact, within the coming months the GFP will be delivering daily information on upcoming and ongoing floods to a wide range of different end users including the European Emergency Response Coordination Centre, the World Food Program, national services and private industry. From the scientific point of view, it is the only forum where the meteorological, hydrological, remote sensing and disaster management communities meet to discuss floods at global level, and is attended by top scientists from Europe, America, Asia and Africa. With ~200mm of rainfall in just over 3 weeks, the Thames Valley along with many other parts of the country are again under water. This morning flood levels in many areas are still rising and many Environment Agency flood warnings remain in place. With very saturated ground, recent rainfall has led to a combination of river flooding and also the water table rising above the ground to flood roads and properties. 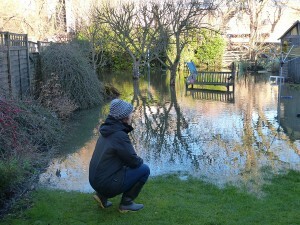 Dr Hannah Cloke, a flood hydrologist from the Department of Geography and Environmental Science has been observing the flooding on the River Thames and talking to Thames Valley Residents. 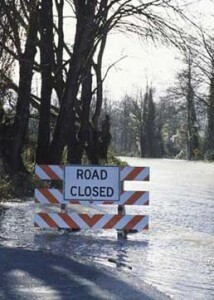 The current flood levels are in some areas similar to the floods of January 2003. The UK has over £82 billion worth of assets at risk from river flooding and flooded homes cause misery to thousands of people. 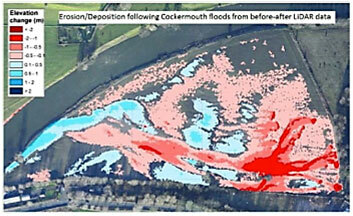 The NERC programme Flood Risk from Extreme Events (FREE) is research to predict floods minutes to weeks and seasons to decades ahead. 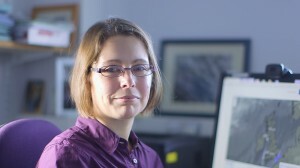 Research by Dr Hannah Cloke, Reader in Hydrology, features in the Quarterly Journal of the Royal Meteorological Society‘s Special Issue on Flooding from Extreme Events published this month. The article underlines the challenges in using the current generation of Regional Climate Models for local climate impact studies on flooding. Looking at the current best practice in modelling climate impact on floods with ensemble climate projections, the study highlights the stark differences in results when using different methods and also the strong assumptions made in using Model Output Statistics to produce the estimates of future river discharge.